Did anyone else grow up eating “Ants on a Log”? Here’s a colourful spin on that theme. Keep the celery, spike the peanut butter with lime and honey, and trade out raisins for carrot rounds. Sprinkle on some dark seeds, and voila! Ladybugs (or ladybirds) appear, alighting just in time for the arrival of spring! Briefly warm peanut butter in a small bowl in the microwave until softened. Use a fork to whisk in lime juice and honey to taste. 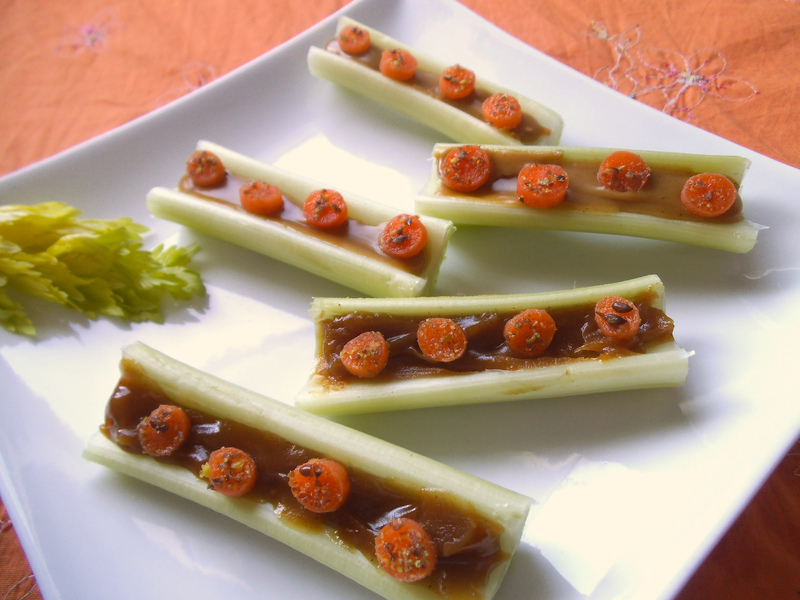 Spread peanut butter blend into the celery sticks. Lightly glaze the sliced carrot rounds with honey and sprinkle with chia or black sesame seeds to form spots. 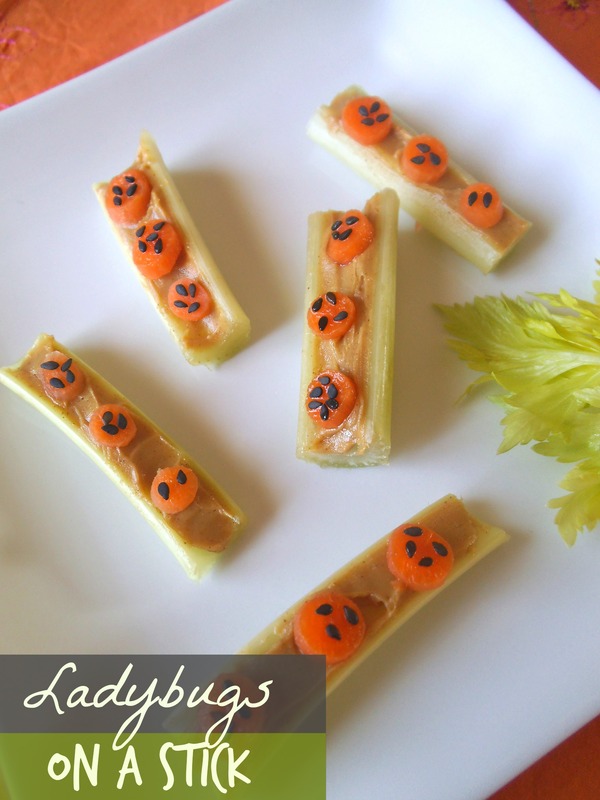 Arrange carrot “ladybugs” on top of the peanut butter centers of the celery sticks. Serve with a smile. I share recipes at Allergy Free Wednesdays and here. Thanks for the pin! It’s fun to share ideas. What a fun idea! You always hear of making ants on a log, but I love ladybugs on a log! Thanks! I like how colourful they are too. Thanks! We’re eager for spring! So are we! 🙂 Come join Fiesta Friday! It really has wonderful sense of spring. Thank you very much for sharing. And thank you for visiting here. Have a lovely weekend! What great recipes this week in the link up!